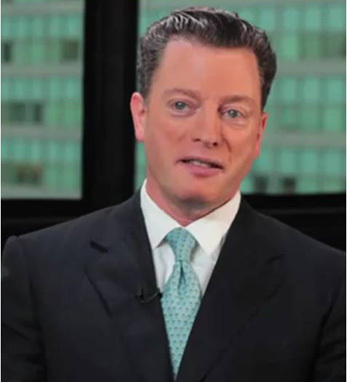 John Michael Farrell is a National Lead Partner for KPMG in Enterprise Risk Management (ERM) services. With more than 20 years of risk management and risk/control experience with Fortune 500 multinational clients, Farrell specializes in Internal Audit, Regulatory & Compliance Services. In this position he is responsible for service delivery on priority accounts in the manufacturing and information/ communication sectors. A graduate of the State University of New York at Albany, Farrell received his Master of Science, Accounting and MBA, Finance, from Long Island University. He is also a Certified Public Accountant in New York State and belongs to the New York State Society of Certified Public Accountants. Before joining KPMG, Farrell served as the Director of Internal Audit for Minerals Technologies, Inc.
Farrell is a third-generation Irish-American with roots in Monahan on his father’s side. His grandmother was one of eleven children born at the turn of the century in New York, whose parents came to America from Ireland in the 1880s.